Figure 8-36. Wabcotite pipe union. Home > Transportation Reference and Training Manuals > > Figure 8-36. Wabcotite pipe union. Figure 8-38. 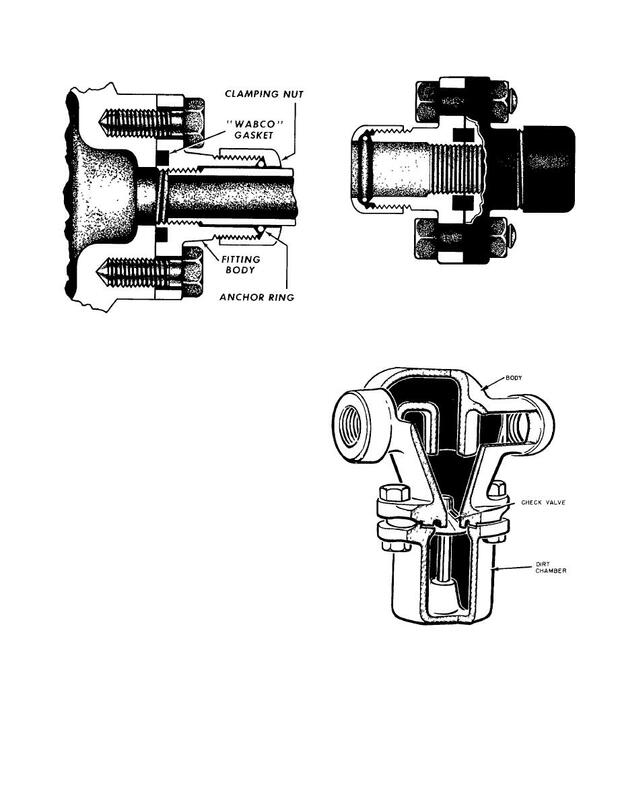 Diagrammatic views of standard pressure retaining valve. Figure 8-37. Centrifugal dirt collector.